Just Cause once again puts in the shoes of covert operative Rico Rodriguez with higher stakes and deadlier tools than ever before in its fourth entry. This time he’s taking on The Black Hand, a deadly mercenary group in South America. 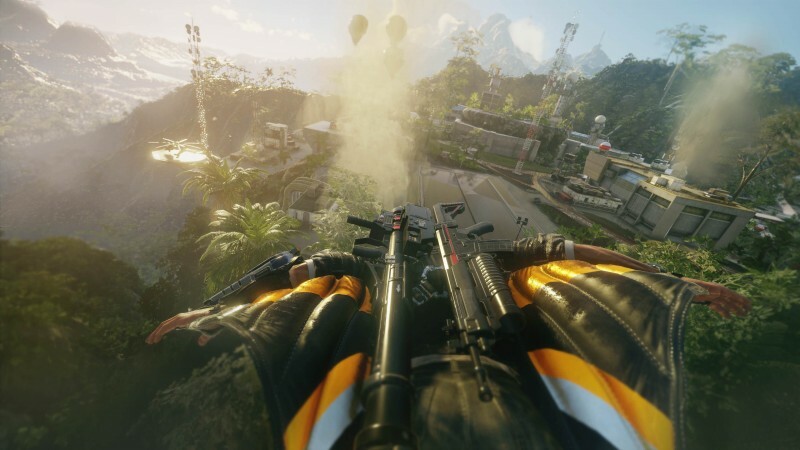 Rico’s arsenal of tools has been greatly expanded, with the famous grapple from Just Cause 3 being revised to include mutators that let the player adjust the strength of the connection between two objects so that you can use literal dumpsters to smash enemies or even attach boosters to objects so they go careening in wild directions to function as battering rams or launched explosives. 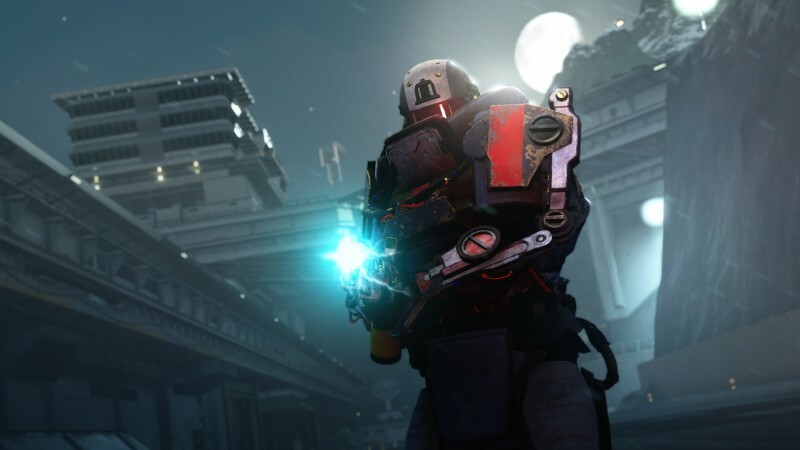 We recently had the chance to watch a demo of the game behind closed doors to see what the fourth game has up its sleeve. The answer? A lot of destruction. A new element to the series is unpredictable, deadly weather that poses a serious threat to you, as well as your enemies. 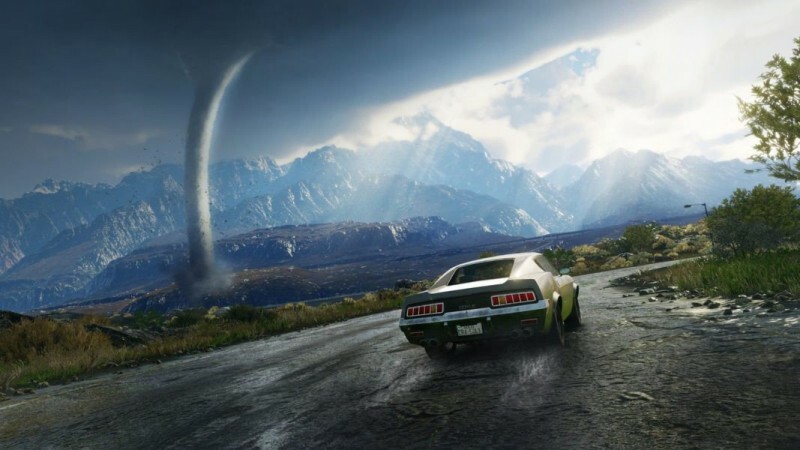 Tornadoes rage across the land in Just Cause 4, tearing everything they come across to shreds and throwing bridges, vehicles, and people all over the place. I watched as one jet fighter was sucked into the tornado and thrown into a mountainside. This wasn’t a cutscene but instead a moment born from the game's systems. Avalanche and Square Enix weren’t ready to talk story, but they did showcase the antagonist of the game, Gabriella, who leads The Black Hand. They also briefly showed an army element of the game, where the forces that Rico builds up through Just Cause 4 will often be found engaging The Black Hand naturally in the world in battle. During our preview, Avalanche talked about how this entry was going to try to flesh out Rico as a character because feedback from the Just Cause community has often been about his character development. “There’s been an evolution of that character. Where Rico began as an avatar for players to flood with their action fantasies, it’s clear as we move towards 2018 that people want to get to know the character they’re playing as,” says narrative designer Omar Shakir. The big challenge, Shakir says, is uniting all the disciplines of the game, making sure that the combat is challenging in a way that reinforces and reflects the personal challenges that Rico himself faces. Just Cause 4 will be out December 4 for PS4, Xbox One, PC. For more on Just Cause, be sure to check out our review of the third game here.